As reported by Business Times on 06/03/12, PETROLIAM Nasional Bhd (Petronas) is expected to award the next round of risk service contracts (RSCs) for the development of marginal oilfields in Malaysia in the next two months, its president and chief executive officer Datuk Shamsul Azhar Abbas said. "So far we have awarded new RSCs for the development of Balai cluster and Berantai fields. "Recently, we opened up a data room involving 22 small fields. Quite a number of independent foreign companies came to take a look at the data. "They are in the process of submitting proposals. 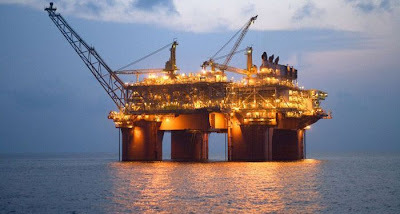 Over the next two months, we will be making announcement on the winning bids," he told reporters on the sidelines of a media briefing on Petronas' financial year results for nine-month period ended December 31 2011 here yesterday. In January last year, Petronas awarded the first RSC to a consortium, comprising UK-based Petrofac Ltd, SapuraCrest Petroleum Bhd and Kencana Petroleum Bhd, for the development of the Berantai marginal field, offshore Terengganu. This was later followed by the award of the RSC to a group comprising Australia-listed ROC Oil Company Ltd, Dialog Group Bhd and Petronas Carigali Sdn Bhd for the development of the Balai cluster, offshore Sarawak. Earlier, Shamsul said Petronas has allocated RM300 billion as capital expenditure (capex) for the period up to 2015 to support the national company's agenda. The capex is for aggressive exploration activities, enhanced oil recovery and improved oil recovery programmes, marginal and stranded field development, unconventional play, regasification terminals, liquefied natural gas (LNG) expansion for its Malaysia LNG plant in Bintulu, power plant projects, refinery and petrochemical complexes and asset integrity, maintenance and health, safety and environment programmes. Shamsul said Petronas has concluded 10 new production sharing contracts in the nine-month period of last financial year, with 19 successful discoveries made, with improved exploration success ration, including new plays like in shallow oil at Kayu Manis, Sarawak and first basement oil play at Diamond-4X in blocks 01 and 02 Vietnam. On another subject, Shamsul said Petronas will not bear further costs as a result of inefficiency at Tenaga Nasional Bhd's (TNB) plants. "We had never stated in the past that we will continue to give hand out to TNB. It's supposed to be one-off. "We volunteered to help them and the government also volunteered to play their parts. Based on the number they come out (which is RM3 billion), we helped them in the interest of the Malaysian public. We volunteered to help them by taking out one third of the utility company's cost overruns. "The government paid another RM1 billion but that will come from dividend that we pay to the government. "So the answer to your question will be 'No'. That will be one-off," he said in reply to a question if Petronas will continue to pay compensation to TNB for the cost overruns incurred by the utility company. On its overseas venture, Shamsul confirmed that Petronas has withdrawn from a consortium exploring Indonesia's East Natuna gas project because it could not come to terms with the equity offered. He said Indonesia's Pertamina had initially offered Petronas a 20 per cent equity in the project, but then reduced to 15 per cent and later 10 per cent. "In the end, they offered just 5 per cent. So we say 'Thank you'," he said. However, he said pulling out of the development of East Natuna does not mean that Petronas is not interested to explore the upstream activities in Indonesia.